Where can you find a Nissan dealership with a massive inventory, impressive lease and finance deals, and discounts on auto maintenance and repair services? Bill Kay Nissan is a short drive away from the Bolingbrook, IL area and has every service you could ask for, including customer service! Make an appointment to visit us by calling (888) 448-1554 or use our contact form to ask any questions you might have. Do you feel limited by the choices at car dealers in the Bolingbrook, IL area? Check out the current inventory of new cars, trucks, and SUVs, certified pre-owned Nissan vehicles, and used options for sale at Bill Kay Nissan to discover the model you’ve been searching for. If you’re looking for a low price on a new vehicle or one that’s new-to-you, take a look at our current specials. Occasionally, we have a car, truck, or SUV that stays on our lot longer than we would like. We have to offer these high-quality vehicles at a discount to make room for incoming shipments. Take a look at our new Nissan specials, CPO specials, and used car specials to drive for less at our dealership near Bolingbrook, IL! Whether you want an auto lease deal or a finance plan, the team at Bill Kay Nissan near Bolingbrook, IL will work with you to find a payment option that matches your budget. Take a look at the current Nissan incentives to find the latest offers directly from the manufacturer. When you locate a finance or lease deal that works with your budget, contact our team to get more details on model availability and qualification. If you’ve been looking for a reliable auto service shop in the Bolingbrook, IL area, bring your car, truck, or SUV into the service center at Bill Kay Nissan. Our team of factory-trained technicians will get your vehicle back on the road as quickly and safely as possible. If you’re looking to save on your next routine auto maintenance appointment or get new parts and tires for less, we also offer several auto service coupons and specials to help you save. Find and print your auto service coupon, and then schedule your next appointment online with us! How can I get to Bill Kay Nissan from Bolingbrook, IL? 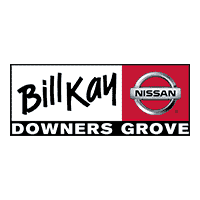 Why choose Bill Kay Nissan? If you’re ready to experience a new car dealership that does business a little differently, Bill Kay Nissan is the only choice you have to make. Our The Bill Kay Way motto means that you can count on us to provide a great product at the lowest price possible and exceed your customer service expectations. If you’re tired of haggling and sitting for hours in waiting rooms, give us a call at (888)448-1554 to experience the difference for yourself!